Serving Chicagoland, SW Wisconsin and NW Indiana since 1980! Aaron Auto Glass was established in Chicago, IL in 1980 as an automobile glass repair and replacement facility. Today we have locations throughout the entire Chicagoland, Southwest Wisconsin and Northwest Indiana area! We have a facility in your area or if you prefer we can send out one of our 30 fully stocked mobile glass repair units to your home or business! Some of our many services include windshield repairs and replacement, auto door glass repairs, auto window repairs for windows not working properly and more. 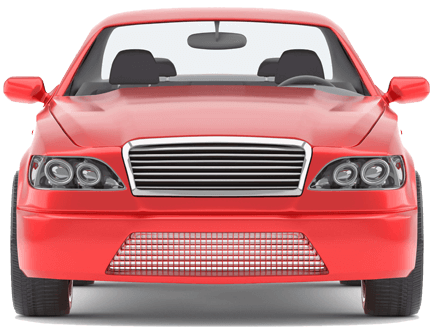 Aaron Auto Glass can repair your glass for any type of vehicle – cars, trucks, vans, SUVs, foreign or domestic. Some of our facilities are now offering car audio systems, remote car starters and window tinting! Call today to find out more. Aaron Auto Glass has a mobile fleet of over 50 vehicles serving the Chicagoland, SW Wisconsin and NW Indiana areas. Let us come to you! Aaron Auto Glass makes it easy to get your vehicle windows replaced quickly. Our crew will get you back on the road in no time. Let the team at Aaron Auto Glass asses your vehicles damage and make the necessary repairs. From chips to leaks, we handle it all. The team at Aaron Auto Glass can handle all of your vehcile glass needs. From windshields to door windows, tinting, and more, we do it all. From chip repair to total replacement, Aaron Auto Glass can get you back on the road in no time at all. Let the experienced team at Aaron Auto Glass replace your damaged rear windshield. Accidents happen at the most inconvenient times and Aaron Auto Glass is there for you to quickly replace your windows. Protect yourself and your passengers from harmful UV rays with window tinting services from Aaron Auto Glass. Seriously couldn't ask for better service. Fast, great work at unbeatable prices and great customer service. Shout out to the Chicago - Armitage team (specifically: Carla, Diana and Sylvia... wish I knew my service guys' names!). Last week, I had my back and front windshields replaced for half of the price I was being quoted at other places. I was able to walk in without an appointment and all the work was done within 2 hours. Today, I used their mobile service and had two more windows replaced in less than an hour. I would recommend Aaron's to anyone needing glass repair. You won't be disappointed! Thanks, Aaron's!! I had a really great experience with Aaron’s they were very professional and had great customer service. Carla was very nice when i spoke with her and she provided me with a reasonable price. All the staff were nice and they had me out in no time! I would definitely recommend them to anyone i know. Thank you all so much! I just want to thank Dominique for helping me out. She was more then helpful and equally efficient. I was calling multiple places and spoke to different associates who were incapable of giving me a quote. I finally reached Dominique who not only helped but put me in a better mood. Customer service is extremely important and that's something she understands. Thank you again Dominique. Their quote was over $100 less than multiple competitors. I was in and out in under and hour. The price they quoted was the price I paid. Friendly staff. They replaced city stickers and iPass on windshield as well. They even had family-friendly movies playing on the TV in the waiting room. Aaron auto glass is a place I will recommend many of my friends. The place was clean and equipped with many friendly people. Vanessa was extremely knowledgeable and helpful. She gave me a great deal but was also very detail oriented. I had many of my questions answered and was very appreciative of her professionalism. Aaron auto glass had me in and out within an hour. I was very impressed and the job came out great. Thank you everyone for the great experience.